Mahansar is a small town or more of a village in Jhunjhunu district of Rajasthan nit far from Churu. 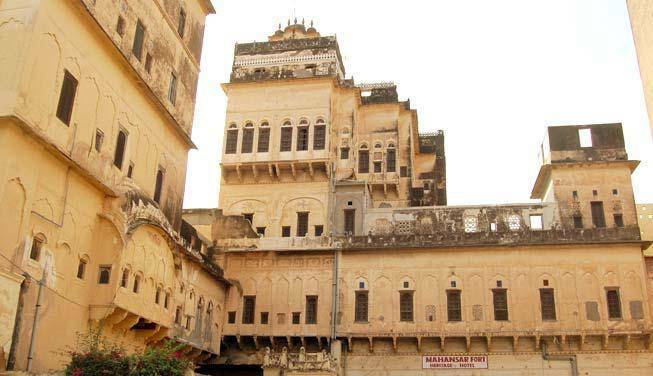 Located in the middle of Shekhawati region of Rajasthan, Mahansar is famous for its rich cultural history and heritage. The main attraction of the town is the Haveli known as Sone-Chandi ki Dukan. This mansion has intricate painitngs done with gold leafs. The painitngs depict diffrent scenes fro like of Krishna, story of Ramayna and Lord Vishnu.